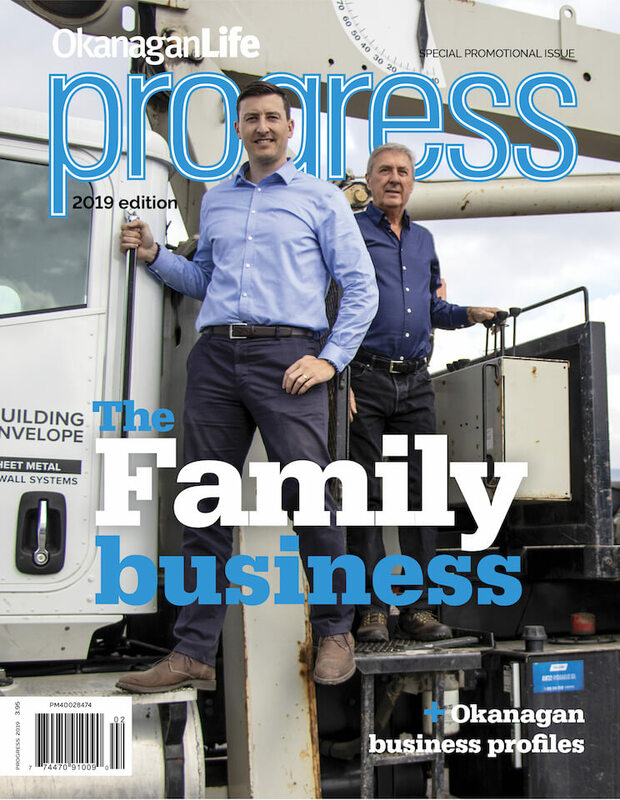 Flooring Canada Kelowna’s motto is “With you every step of the way.” For the past year, while the business has been recovering from a crisis, owner Perry Hildebrandt says that their motto took on a new meaning: the community was supporting his company every step of the way. In August 2011, as Perry watched fire destroy his showroom, he wondered what would become of his company. Today he’s amazed at how the business has flourished. “My team deserves the greatest acknowledgment,” he says. “There was no question in their minds as to whether or not the business will go on; it was only a question of how.” His dedicated staff met at a local coffee shop and quickly put a plan of action together. Almost immediately, a huge wave of community support began to roll in. Over the years, Perry has built a reputation for Flooring Canada Kelowna that is based on integrity, trust and mutual respect—even with his competitors. Within days of the fire, they were offering to let Perry’s team use their own showrooms to sell from samples, a testament to these Kelowna businesses’ regard for Perry, and to their extraordinary sense of community. Others from the Kelowna business community also stepped forward to support the company. Because Flooring Canada Kelowna’s temporary location wouldn’t be available for two weeks, their telecom supplier offered the use of a boardroom, with dedicated phone lines installed and ready for his team to use. Numerous others brought necessary supplies or whatever else was needed to keep the business running. Perry is pleased to report that insurance broker, Capri Insurance, also provided much-needed support. “I can emphatically say, without the business package they developed for me and the continual guidance they have provided over the years, I would be floundering,” he says. Building a resilient and respected company didn’t happen overnight. Long before the fire, there was a time when Perry’s business was experiencing difficulty. Realizing he needed help, he engaged a leadership consultant to conduct an analytical assessment of the company, and was advised the biggest change had to come from him: he needed to provide his associates with greater transparency and more trust. He also needed to be more actively involved with the customers, the systems and the products. Flooring Canada Kelowna is delighted to invite new customers and old friends into their impressive new showroom, which includes a new designers’ lounge and a greater selection of samples than ever before. As experts in flooring, they provide a vast range of products and services for both residential and commercial customers. Their goal is to ensure every customer has the perfect floor for the way they live, work and play. As part of North America’s leading flooring retail group, their 500-store buying power guarantees investment on products that are backed by the most solid warranties in the floor covering industry. Visit Flooring Canada at 325 Banks Road in Kelowna.